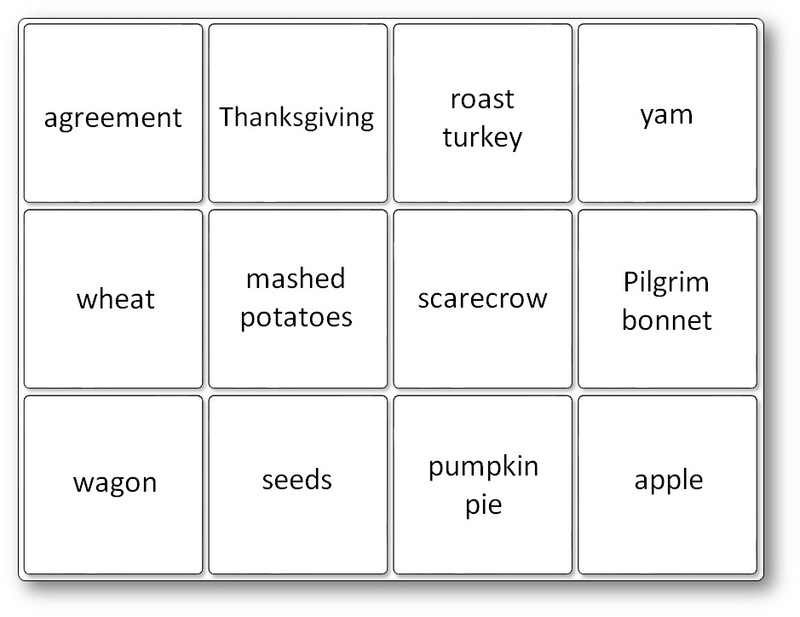 This Thanksgiving Matching Game helps children practice memorizing English vocabulary connected with the theme Thanksgiving. 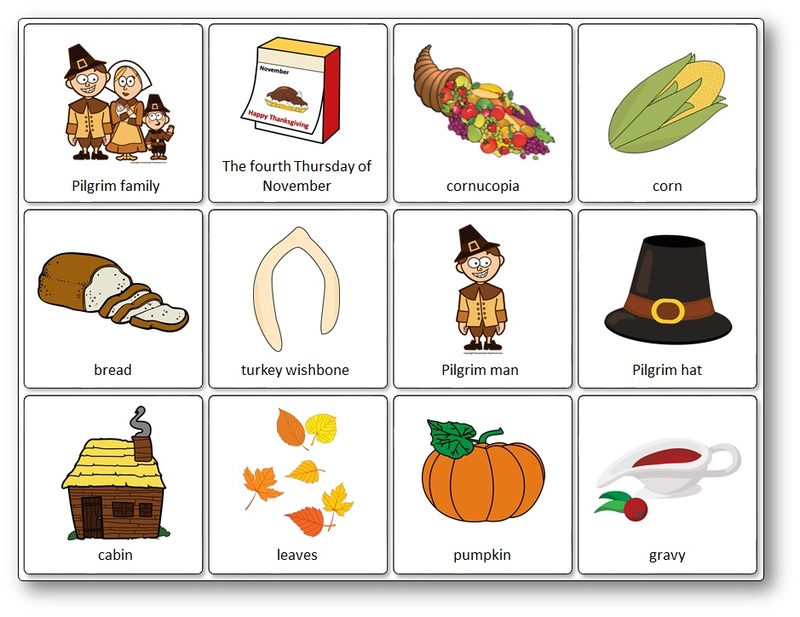 It can be used for improving the learners’ speaking skills and to review English vocabulary or simply practice these words. 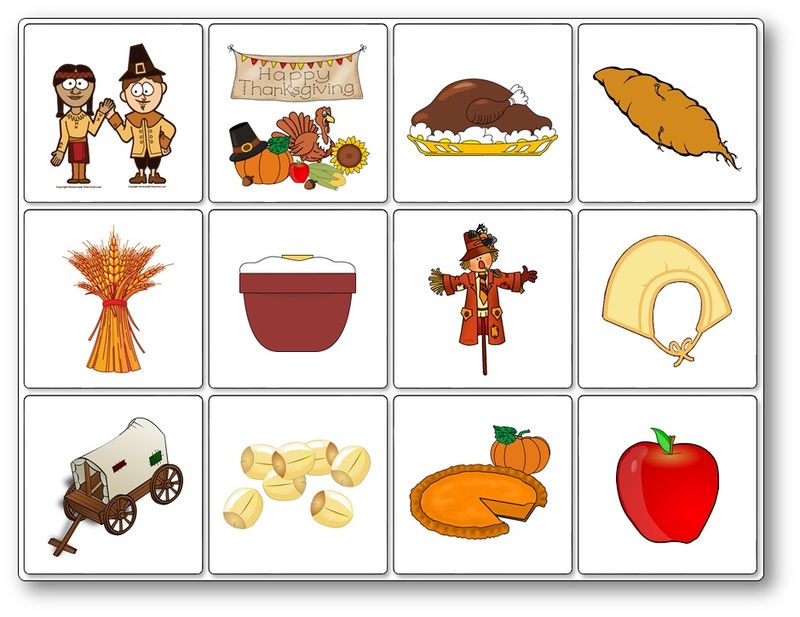 This printable Thanksgiving matching game is best suited for elementary school students and kindergartners and nursery school students at Beginner (A1-A2) level. There are thirty-six cards in this game. 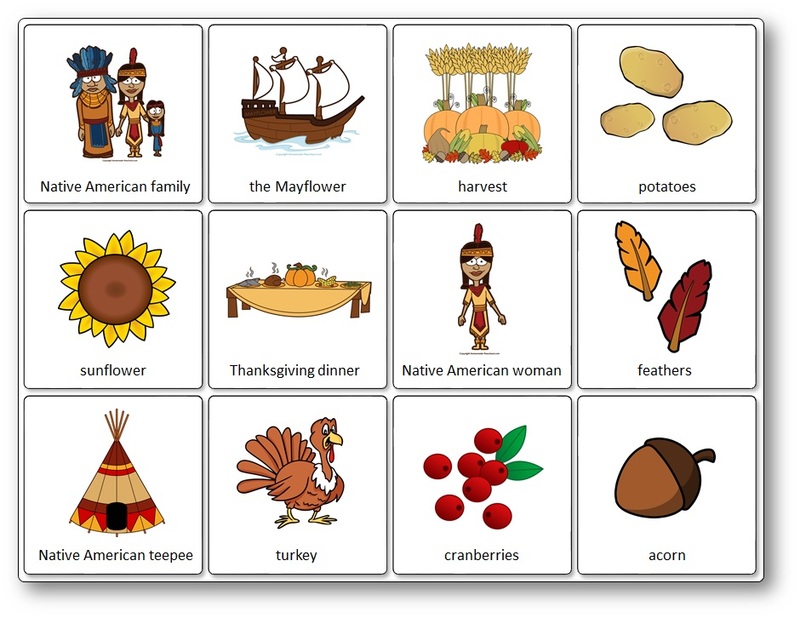 It has the following match cards: Native American family, the Mayflower, harvest, potatoes, sunflower, Thanksgiving dinner, Native American woman, feathers, Native American teepee, turkey, cranberries, acorn, Pilgrim family, the fourth Thursday of November, cornucopia, corn, bread, turkey wishbone, Pilgrim man, Pilgrim hat, cabin, leaves, pumpkin, gravy, agreement, Thanksgiving, roast turkey, yam, wheat, mashed potatoes, scarecrow, Pilgrim bonnet, wagon, seeds, pumpkin pie, apple.